Du durchsuchst gerade das Archiv des Tags ‘Perkussion’. ijb: Hello Leonie, last year I had seen the SWR documentary about you, which was impressive with its balance between personal, yet not private, insights on the one hand and the more professional and performance-oriented chapters as well as the highly supportive and appreciative interview contributions from your teachers, among others, on the other. After all, it’s not common for a student or beginner to be honoured with such a detailed television portrait. How did this documentary come about? Leonie Klein: In 2015 I had a scholarship from the Zukunftsinitiative Rheinland-Pfalz (ZIRP). As part of this scholarship, I played concerts in the state of Rhineland-Palatinate (Rheinland-Pfalz) throughout the year, including at SWRlive! at Funkhaus Mainz. So I drove off with a sprinter full of instruments and was very happy to be allowed to give a concert at this kind of broadcaster. And this concert evening was simply wonderful: And not only due to the fact that they provided people to carry my instruments … ;) On this day I could see for the first time a station like the SWR from within and could experience for one day how work is done in this kind of media house. And I was so fascinated by that very experience that in the summer I did an internship in the editorial department of „Landesart“ and then went on to study „Music Journalism for Broadcasting and Multimedia“ at the Karlsruhe University of Music alongside my drum studies. Naturally, during the internship everyone always saw me as the drummer and not as the journalist, so on the last day I said goodbye with a small office concert. That was my first contact with SWR. And then about a year later I played a concert in Neuwied, where SWR2 editor Sabine Fallenstein became aware of me and offered to produce a CD a little later. 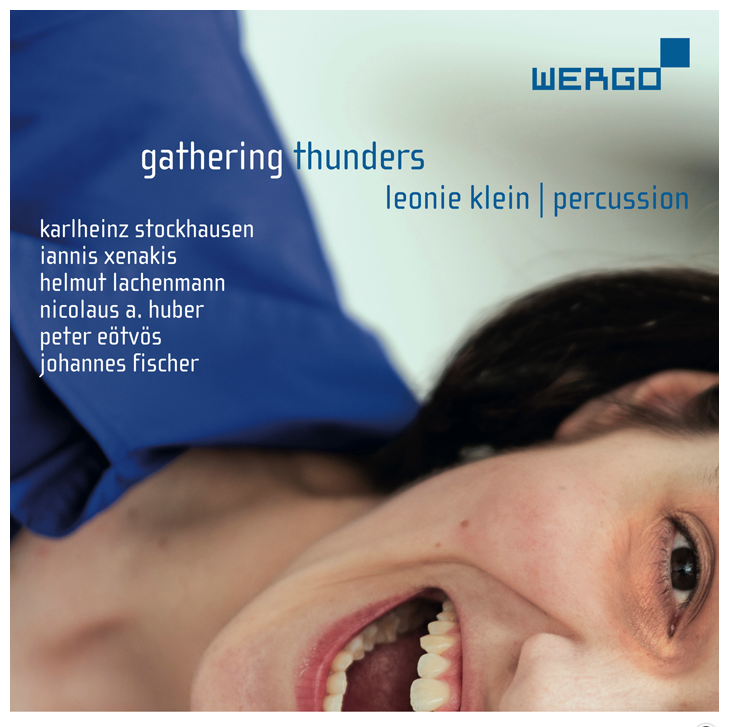 And then everything came together: I produced the CD with SWR, and the editor Julia Melan was so excited about „The sound worlds of Leonie Klein“ that she wanted to make a film to accompany the CD production. You appear very natural in your demeanor and your statements – anything but youngstar-like affected. How much do you think about presenting yourself as an artist, as a musician in this competitive and ego-populated professional environment, or about, well, „orchestrating“ the accurate career steps? I try to think about it as little as possible and just do what I think is the right thing to do. And fortunately, I’m usually so busy that I don’t have time to think about it. The worst thing is when you have to pretend just to be competitive, since you only want to make music. I can easily relate to that. My studies in film directing were essentially art studies, free of market-oriented courses and lessons. That can be as good as it can be disadvantageous, depending on how you look at it. Did your teachers or mentors prepare you for all the non-artistic stuff you have to fight with when you want to stand your ground as a soloist in the „business“? I really had to work out most of it myself and simply learn from my own experience. I was on the road a lot during my studies, gave a lot of concerts, was able to make a lot of contacts and very quickly understood that it was not enough to play well as a soloist. Thomas Höfs, my teacher for orchestral percussion at the music college (Hochschule für Musik, HfM) in Karlsruhe, has always made it clear to me that this business is very hard and that as a soloist you can not only rely on your musical skills, but you have to be always ready for anything. Yet to find the right way and then go it, I was on my own. You’ve mentioned music journalism. 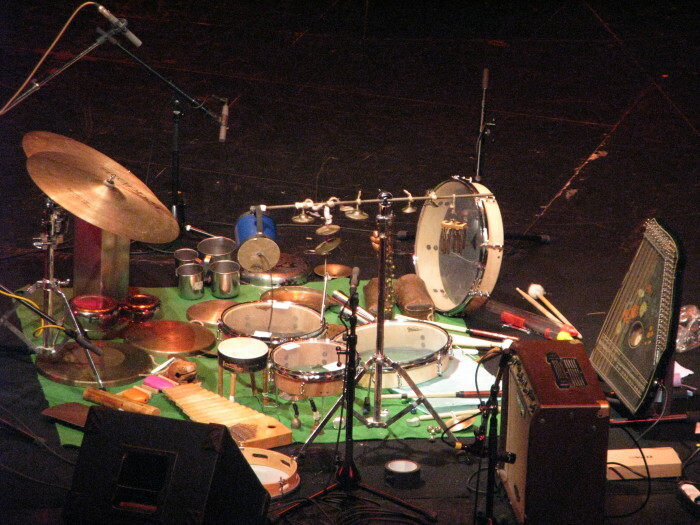 Have you, during the years of your percussion music studies, been thinking about a „plan b“? Considering that solo percussion doesn’t exactly convey the glamour image often attributed to soloists on the violin or piano, one cannot avoid the question: What does one do if it proves impossible to „survive“ on what one has studied for years? I have been working on a „plan b“ since my bachelor’s degree. Since then I have been studying not only percussion but also „music journalism for radio and multimedia“ at the HfM Karlsruhe. I will graduate in this August and I can see myself working in this profession alongside practical music making. In addition, of course, the selection of pieces or composers offered on your first album are not exactly catchy pop tunes. For drums there is nothing like Für Elise, Moonlight Sonata or Sibelius solo concerts, all of which will always win the audience over, even if they are only played in a mediocre way. First of all: I feel that your career path is highly impressive and deserves respect. In the documentary we can see the passion and commitment you put into this music, a music that is rather odd for most listeners, even those who like „classical“ music or rhythmic music such as groovy jazz or contemporary electronic music. Stockhausen and Lachenmann, for example, are not exactly considered Germany’s most popular composers. Can you recall what it was like for you to discover these composers‘ works? Was it more a fascination with the formal or the technical – or did you immediately get emotionally involved? Before I entered the music college, I had only a very limited set of instruments at my disposal and the pieces by Stockhausen or Lachenmann were unthinkable for me at that time. But then I arrived at a college which opened all possibilities for me. At that time I had no idea at all about contemporary music and had to find my very own connection to it. For a year, I intensively studied Stockhausen and his work Zyklus. I read a series of books about serial music, about Musique concrète instrumentale and got to learn about the most renowned composers since the 1950s and their music. So it was more the historical/scientific approach that introduced me to this music. Then work began on the instrument: How is this music supposed to sound? As a performer, how much freedom do I have? How do I phrase this music? And that was the beginning of a very long journey, on which I myself had to understand and get to know a kind of music that somehow intrigued me, but at the same time was so difficult to play that it took a lot of discipline and perseverance to follow this route. And I have to add that deliberately I only rarely worked with a teacher because I wanted to discover music independently and not just walk in someone else’s footsteps. The repertoire featured on your CD comprises almost entirely „big names“ – from the great master Xenakis to Stockhausen, who is often seen as a somewhat crazy megalomaniac, to Lachenmann, whose influence many contemporary composers have described as formative, to Nicolaus Huber and Peter Eötvös, who may not be known to everyone, but who are also highly esteemed among music lovers. Was there a certain narrative arc or a kind of principle of order why you chose these five composers and works – or are they simply „favourite pieces“? Stockhausen was actually the bedrock for this CD. It was the first contemporary drum solo I have ever practiced. 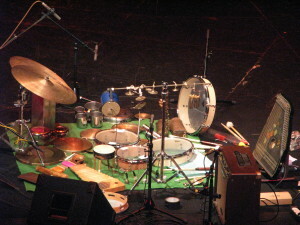 Next up was Lachenmann, who in Intérieur I uses a similar set of instruments, but the music is entirely different. I was fortunate to get to work with Lachenmann in person which is one of the reasons why I have a very special relation to this piece. And Psappha by Xenakis is one of the three milestones of percussion solo literature. These three works have taught me to understand contemporary music and how to perform it. They have been with me for a very long time and they mean a lot to me personally. At the same time these three works in combination are also a part of music history. Nicolaus A. Huber’s work stands in contrast to Lachenmann: Both studied with Luigi Nono, and I wanted to juxtapose these two composer personalities on the CD. One teacher – two students – two different ideas of music. And then there is Peter Eötvös: his work should prove that, in comparison to the previous pieces, you don’t always need a large set of instruments to keep a percussion soloist busy and bring the instrument to full fruition – at times even a single timpani will do. 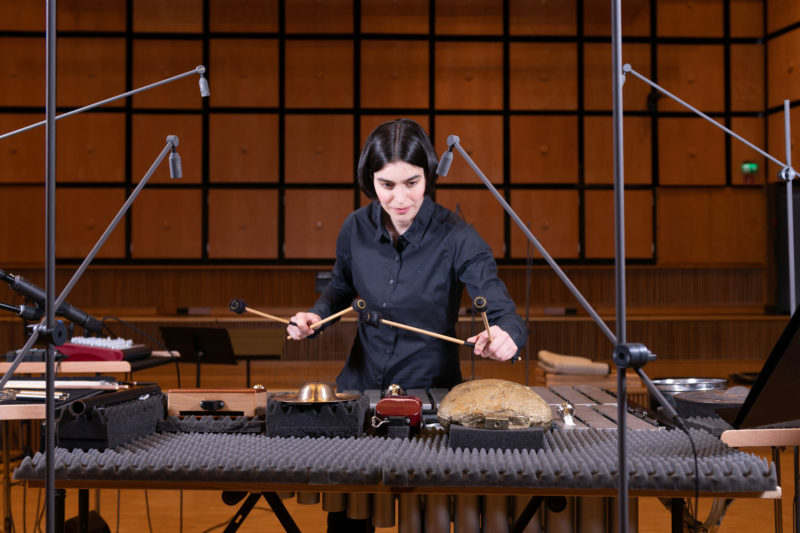 The CD presents a cross-section of 50 years of percussion solo literature and the individual pieces could not be more different. 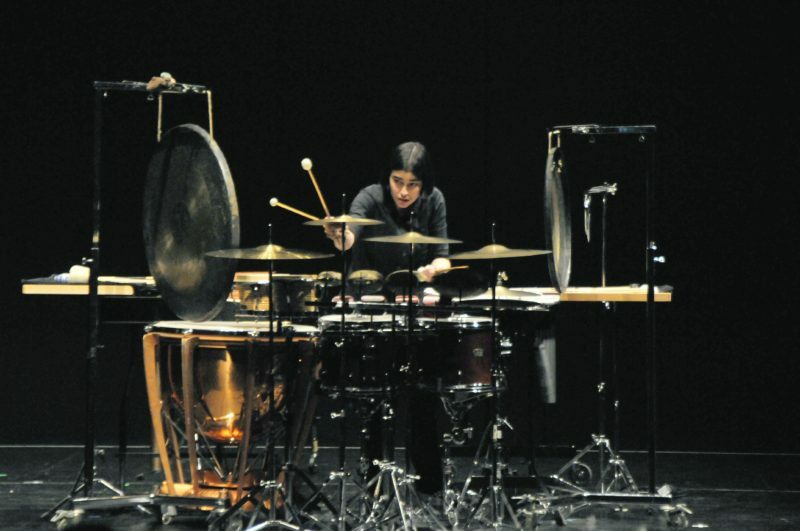 The CD covers the whole scope of percussion solo literature and it has to be said that all these pieces have never been played by one female performer before. Obviously, they are something like my „favourite pieces“, but that’s partly due to the fact that I myself got to know percussion as a solo instrument in contemporary music from a a perspective of music history. And what about the new work by Johannes Fischer (born 1981)? Did he write it especially for you, even for this CD – or how did the contact come about? 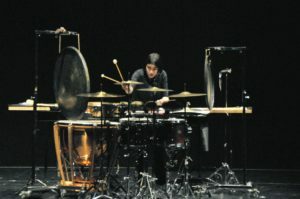 Johannes Fischer had already been thinking about writing a solo for a prepared vibraphone for a long time and he picked up this idea for the CD and wrote the piece down. Back then I had been looking for a new piece for the CD with a tonal reference (a piece for mallet instruments) and since there was very little time to commission a composer and I knew that Johannes Fischer was composing very accessible music for percussion, I got in touch with him. Not being a musician myself (but having always on the lookout for new musical discoveries in all genres), I would be very curious to know what kind of music you like to listen to besides the music that is your job. I am very much at home in classical and contemporary music. If I listen to music consciously in my spare time, it is usually in concert. When I do, I go to concert halls, theatres or contemporary music festivals. Occasionally I listen to other music such as rock, pop or jazz. So, having finished and released the album, which direction are you heading in? Are you deliberately on the lookout for new styles, new directions – or are you going to delve even further into this direction? I will continue to explore this direction for now. From a musical point of view it is certainly rewarding and because of the CD my name is immediately being linked to this style of music, a fact I can of course make good use of. Which other composers‘ works do you perform currently or would you like to perform in the future? I am currently working on a work by Joachim Krebs, Rhizom II, which is based on Steve Reich’s Minimal Music. Later this year I am going to perform Peter Eötvös‘ work Speaking Drums for percussion and orchestra, which he will conduct himself. How about going more towards improvisation, towards playing in ensembles, towards jazz perhaps? I must say, I do enjoy improvising. But I am well aware that improvisation entails a whole new musical world, you need time to get immersed in it, which I am currently short of. What preconceptions are you confronted with occasionally – or repeatedly – when it comes to your artistic activity? I am often told „But this is not music you are playing“ or „Can’t you just play something nice?“ or „One can study something like that?“ But I also have to mention that I receive a lot of reactions in concerts and also now with the CD, proving that it is well worth continuing, even if there are people who disagree and don’t really understand what I am doing. Finally, what does the album title mean to you – is this more than a play on words, simply a result of the works‘ titles? Of course, on the one hand, it’s a word play made for the titles. On the other hand, I do like the title very much as it highlights that every single piece on the CD has a unique significance and value. Each piece has its unique character and has to be re-discovered through the listening process. Thunder is associated with a loud, noisy event at first, but it is also the quiet moments that follow the rumble. They often exist in such an unspectacular way and we rarely take notice of them. The CD is supposed to show that drums don’t always need to be fast and loud, but that the gentle sounds are just as worth listening to and with their intensity and energy can outshine the loud ones. Das ist nicht der Sound seiner brillianten ECM-Arbeit MBOKO, auf der sich der Pianist David Virelles auf die sakrake Musik Kubas einliess, im geschützten Raum eines klimatisierten Studios. Das Teil hier heisst ANTENNA und klingt, als hätte sich der Keyboarder für manche Feldaufnahme ins nicht ganz ungefährliche Hinterland Havannas begeben. Und den Rest in einer kleinen Strohhütte aufgenommen, in der ab und zu recht prominente Gäste wie der Saxofonist Henry Threadgill vorbeischauten. 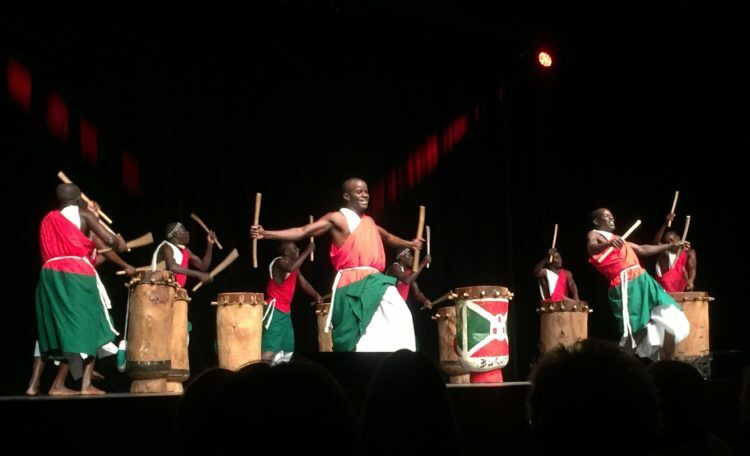 Rituelle Rhythmen, ein fiktives Perkussionsensemble. Der Buena Vista Social Club hat seine Pforten geschlossen, hier, auf ANTENNA, wird die Musik zum puren Abenteuer mit unsicherem Ausgang. Ein kubanisches Klanglaboratorium. 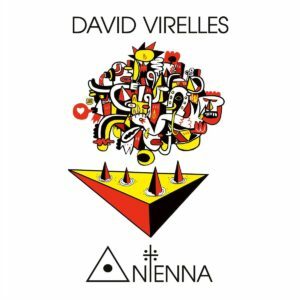 Wenn jetzt noch ein paar unerbittliche Grooves geschöpft werden, ohne den pittoresken Havanna-Longdrink-Nostalgie-Mumpitz, könnte David Virelles etwas gelingen, was vor vielen Jahren Nils Petter Molvaer mit dem Album KHMER anzettelte. Virelles‘ Piano hat nur einen kurzen Auftritt, ansonsten bearbeitet er alle möglichen Gerätschaften, eine Hammond B3, elektrische Klaviere von Wurlitzer und Vermona, und der gute alte Roland Juno-6 kommt auch ins Spiel. Das ist rohe, im besten Sinne unfertige, ungezähmte Musik.